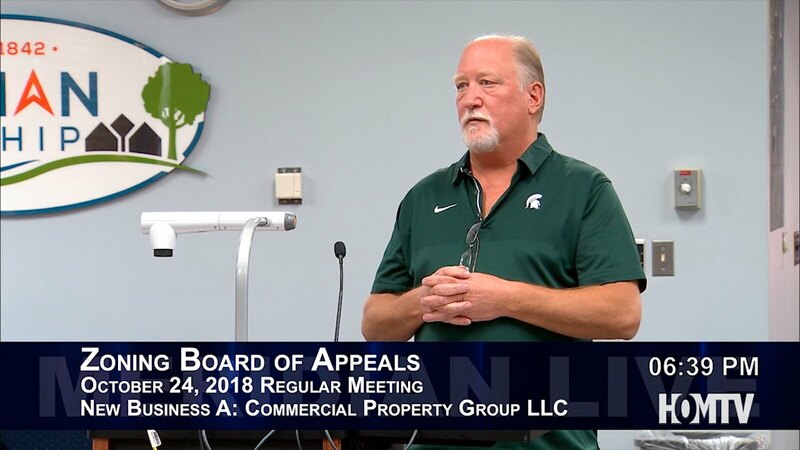 MERIDIAN TOWNSHIP - The Meridian Township Zoning Board of Appeals discussed the Commercial Property Group LLC request at their meeting on October 24th. The property is located in 1915 West Grand River Avenue. The applicant requested freestanding signs to display area per side. The signs should be greater than five feet in height and not exceed 28 square feet in surface. The applicant also requested the freestanding sign be located at least 10 feet back of the street right-of-way line. The Board approved the request of the sign set back from the road for security reasons.